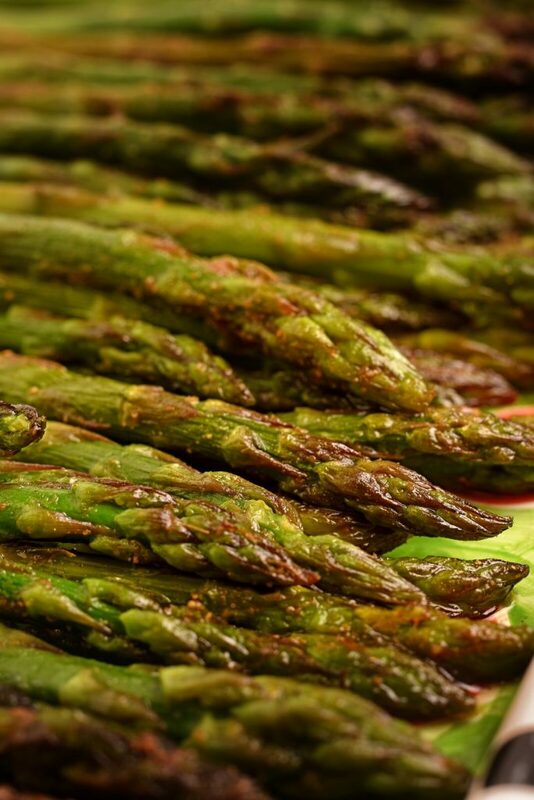 As fresh organic asparagus come streaming into our Carolina markets during March and April, they often awaken my creativity, sparking a quest to develop a new recipe for these divine green spears. 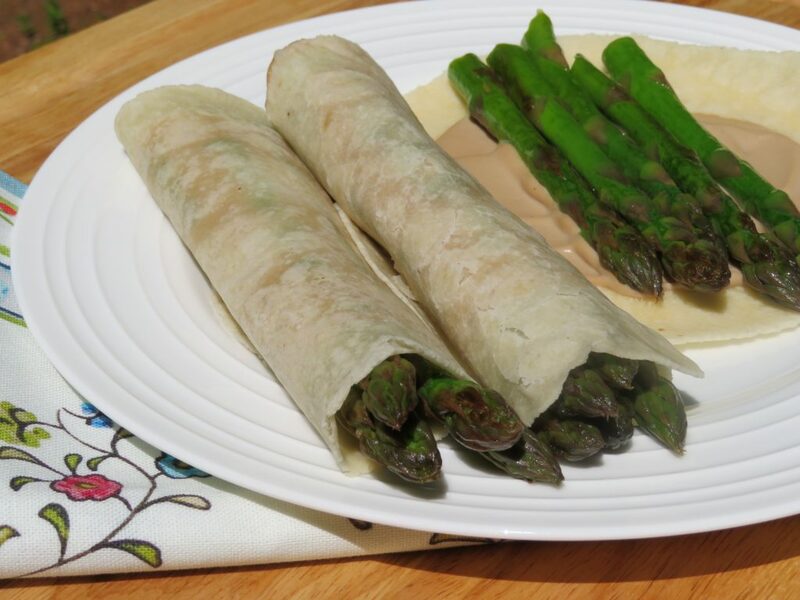 Today, let me introduce Asparagus with Leeks and Shiitake Mushrooms. 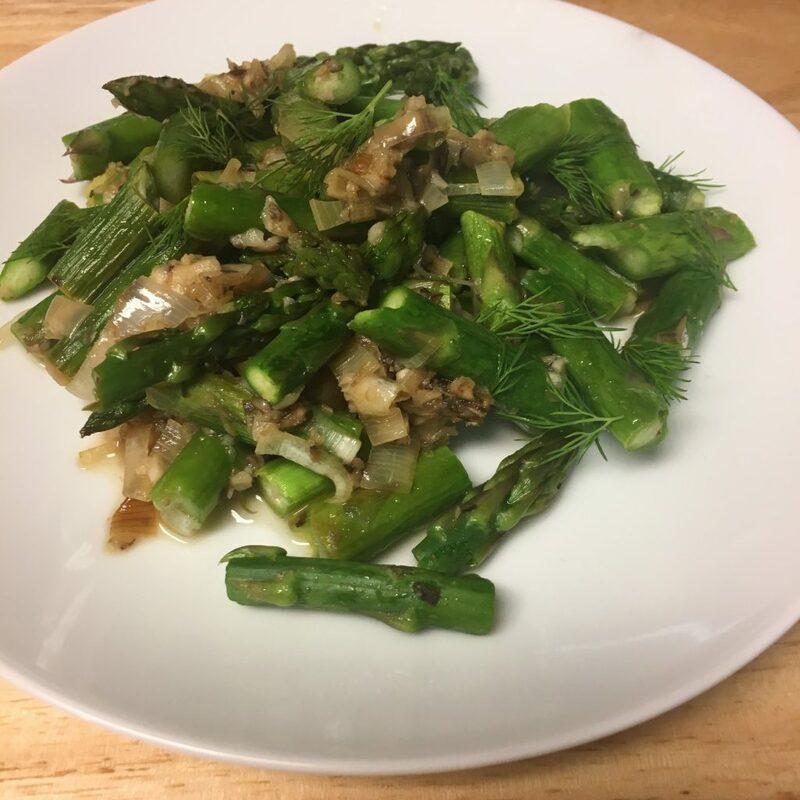 This is a simple dish of steamed asparagus with sautéed leeks and shiitakes. I added the shiitakes because they’re delicious—and also because they’re known to improve immunity.This year our pollen levels have hit record levels, and many people have succumbed to head colds because their immune systems were weakened by allergy season. 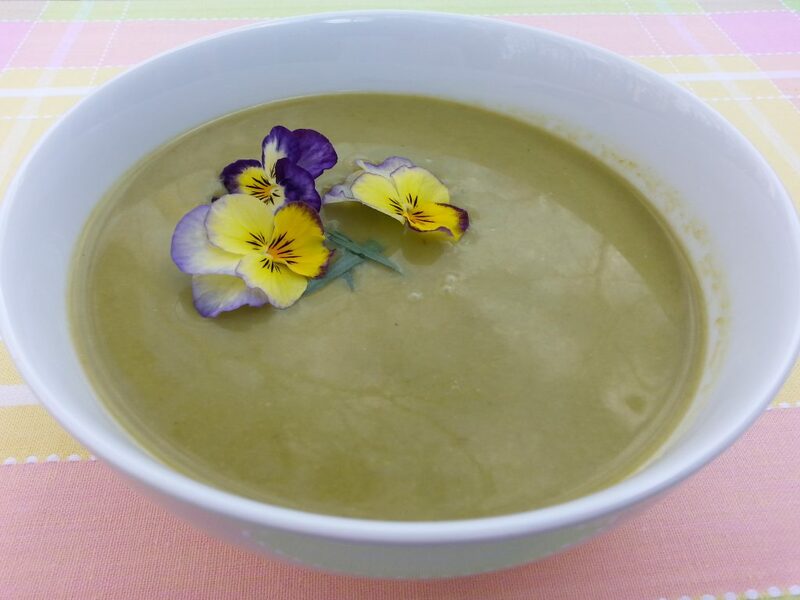 So, in years to come, I’ll remind readers to pull out this recipe at the beginning of spring! It’s still spring so I’m not quite done with asaparagus! I present to you asparagus pilaf cooked two ways, both gluten-free. 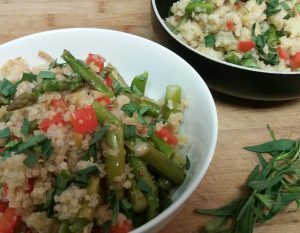 I’ve tried this recipe with quinoa and millet. Each dish is satisfying enough for a light meal, while they both work well as appetizing side dishes. This pilaf is a colorful addition to the Passover table or Easter celebration. And a happy invitation to my observant Jewish readers—no guilt necessary! The rabbis have given their blessings to quinoa during Passover, and millet may not be far behind.